Latinos are still a rarity on American television, especially in proportion to their population. 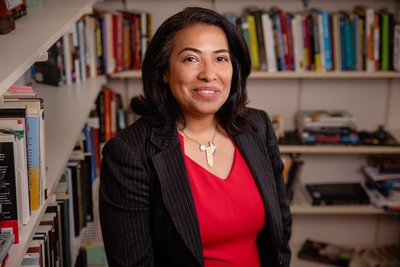 That makes the study of Latino characters and how they’re represented even more important, says Isabel Molina-Guzman, a professor of media and cinema studies and of Latina/Latino studies. 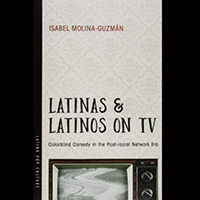 She focuses on the funny ones in her new book “Latinas and Latinos on TV,” and in the process examines the changing form of sitcoms in a “post-racial” television era. She spoke with News Bureau social sciences editor Craig Chamberlain. The actress Sofia Vergara is often the starting point, you note, for both students and academics when discussing Latinos on TV. She’s a star of the popular “Modern Family.” What does she represent for the Latino audience? U.S. Latinos make up 18 percent of the population, but we are represented on programs only about 6 percent of the time, and the roles are often stereotypic. So the fact that Vergara, a Colombian immigrant, stars in one of the most successful family sitcoms of the past decade and earns $43 million per year – making her the highest paid actress on television – is something to be celebrated. To be able to watch ourselves and Latino culture being represented as warm, beautiful, complicated and funny is significant. The challenge is that for Vergara to gain that visibility, her character Gloria has to conform to representational norms. She has to be sexualized, white and straight, and her lines are written by a mostly white male staff. She aspires to white middle-class norms and her failure to achieve those norms is often the source of humor. What do you mean by post-racial television? And how have sitcoms changed during this era? Post-racial television came of age around Barack Obama’s first presidential campaign in 2007 and has continued up to the present. Programs during this era have been informed by the popular belief that the United States had finally achieved a society free from racism, a society that no longer saw ethnic or racial difference. “Latinas and Latinos on TV” is published by the University of Arizona Press. In these shows, the lead characters are predominantly white. While the casts are diverse, their differences in terms of race, ethnicity, gender or sexuality are rarely the focus of the storylines or character development. Where those issues are addressed, it’s often through cringe humor that requires viewers to understand that a character’s attitude or action is inappropriate or offensive. You apply the term “hipster racism” to some of the comedy in “The Office,” “Modern Family” and similar shows, which often rely on cringe humor. Yet you’re also a fan. How do you explain the contradiction? When most people read or hear about my work, they assume I am not a fan of the programs I analyze. In fact, I love watching television and movies, and I continue to watch the shows I write about on a regular basis. “Modern Family,” “Parks and Recreation,” “The Office,” “Superstore” and others are always queued up in my streaming accounts and are part of my go-to entertainment. I watch TV like everyone else, to escape from reality, but I found that increasingly difficult in light of the Black Lives Matter movement and the struggle for immigration rights. During this time, I became more conscious of the role of ethnic and racial characters in sitcoms, as well as of my own laughter. I became increasingly concerned that the ethnic, racial, gender and political humor in these shows could also be read in more troubling ways. The feel-good imperative of TV comedies inevitably left the implicit racism, sexism and homophobia in these programs uncontested, and that’s what I refer to as hipster racism. What do you think needs to change in order to see a better or broader representation of Latinos on television? And do you see anything new in the television coming this summer or fall? I offer my book as a thought piece for beginning conversations among students, fans and audiences about the contemporary role of cringe humor in our relationship with television. And I hope those conversations inspire us to use our downloads, views and DVRs to let network executives know that we want and expect more complexity in how ethnic and racial minority characters are represented. But to create real change, we need to encourage this generation – which is itself extremely diverse and sensitive to these issues – to pursue creative careers, to become writers, directors, producers. That is the change that needs to happen to improve and broaden the representation for Latinos and other minority groups. The number of English-language programs featuring Latino actors or characters in recurring roles can be counted on two hands. Among new programs, there’s a drama coming to Fox based on Latino criminals starring several major Latino actors, which is already facing backlash. But it looks like Netflix has renewed “One Day at a Time” for a third season, thanks to the advocacy work of the National Hispanic Media Coalition. It’s a conventional family sitcom, but with a compelling set of Latino characters and complex narratives. To reach Isabel Molina-Guzman, call 217-244-1419; email imolina@illinois.edu; Twitter handle @imolina1970. 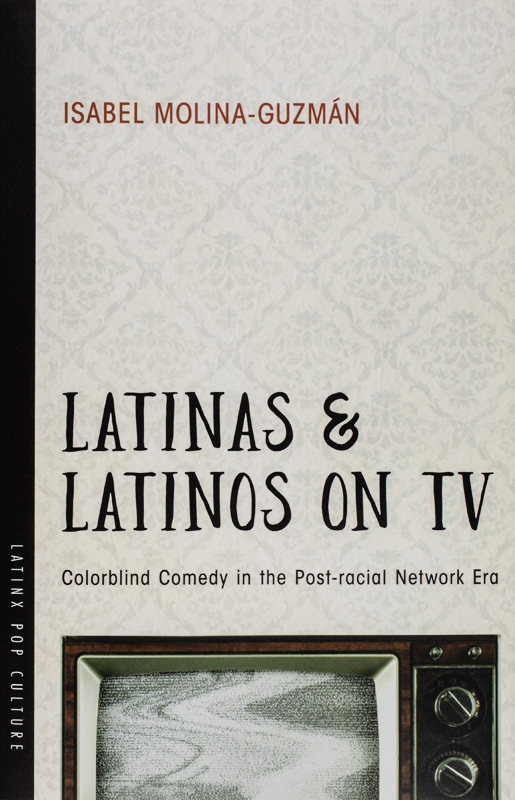 Her book “Latinas and Latinos on TV: Colorblind Comedy in the Post-racial Network Era” is available from the University of Arizona Press. She recently discussed her book in an interview with KJZZ public radio in Arizona.